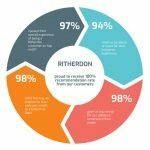 Ritherdon Family Fun Day Returns for 2018! 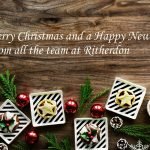 The Ritheron Family Fun Day is back for 2018! A fun filled day for a great cause – This year we’re proud to announce that we’re supporting Blackburn’s Children’s Ward and Neonatal Intensive Care Unit through ELHT and Me Charity. A charity close to our hearts and our community. We hope you can join us for the day. This year will be bigger and better, as we will be holding the event at Bottom Field, near Bold Venture Park in Darwen (BB3 2SG). We were running out of space to fit everything that we have in store for you! The event is for the local community and all money raised will go to support Blackburn’s Children’s Ward & NICU through ELHT&me Charity. Enjoy a great day out with the family and join us at Bottom Field, Borough Road, near Bold Venture Park, Darwen, BB3 2SG.